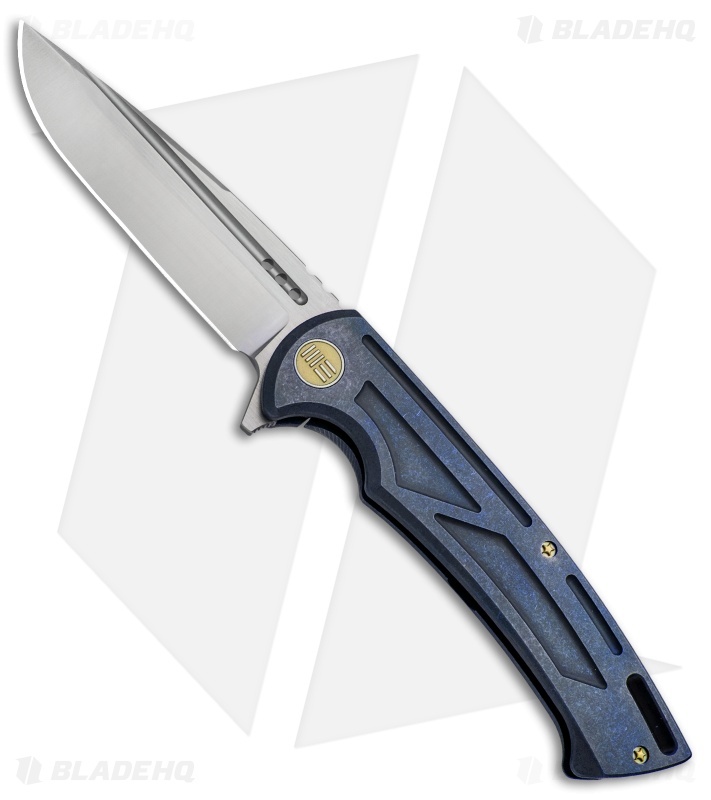 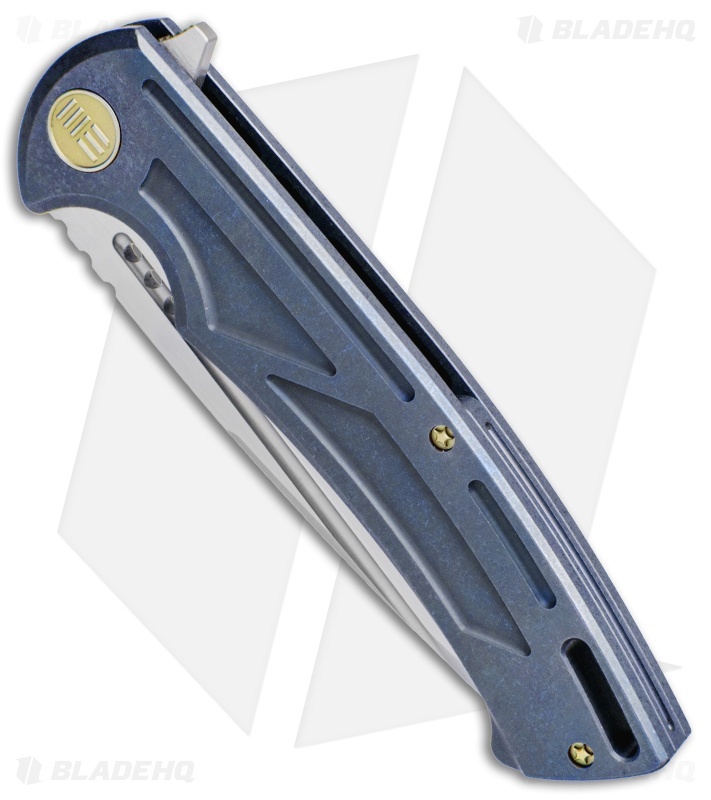 This 614B model sports a blue titanium handle and a satin finished blade. The We Knife Co. 614 flipper has a large modern design with dependable titanium construction. It's equipped with a high performance Bohler M390 steel blade and a titanium frame lock handle with a titanium pocket clip and back spacer. Machined grooves in the handle provide improved grip and added style to the design. 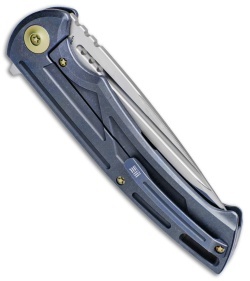 Ceramic ball bearings provide fast and smooth blade deployment. Steel reinforced lock bar offers rock solid blade lock up. Unobtrusive titanium pocket clip offers a comfortable EDC option.